Uncommon on the Townsville campus as it prefers wetter areas, it is sometimes seen along the watercourse. 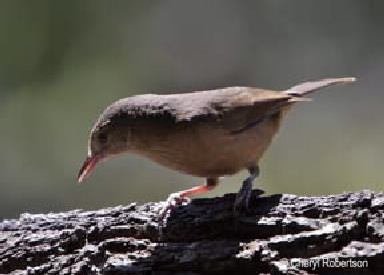 An olive-brown bird, it has with paler cinnamon-coloured underparts with some darker streaks present. Legs and feet grey, eyes dark brown, bill pinkish-grey.